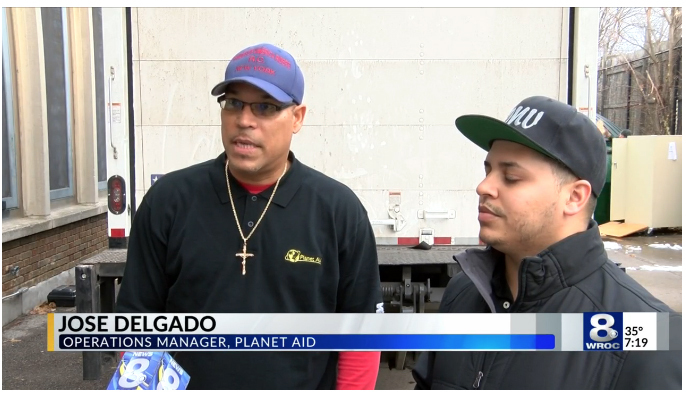 Planet Aid Donates Coats to Hurricane Victims - Planet Aid, Inc.
For the past four years, Planet Aid's Upstate New York location has partnered with IBERO and other local Rochester organizations to provide coats, toiletries, a hot meal, and credit counseling and other financial services to those in need. Planet Aid is happy to be a part of this event once again. This year's event was broadcast by local TV station WROC Channel 8.